Since it was proposed last year, Dallas, TX, based Energy Transfer Partners’ 30-inch diameter pipeline that would cross diagonally through Iowa has been met with stiff opposition. The proposed 1,134-mile pipeline would carry up to nearly 24 million gallons of crude oil daily. 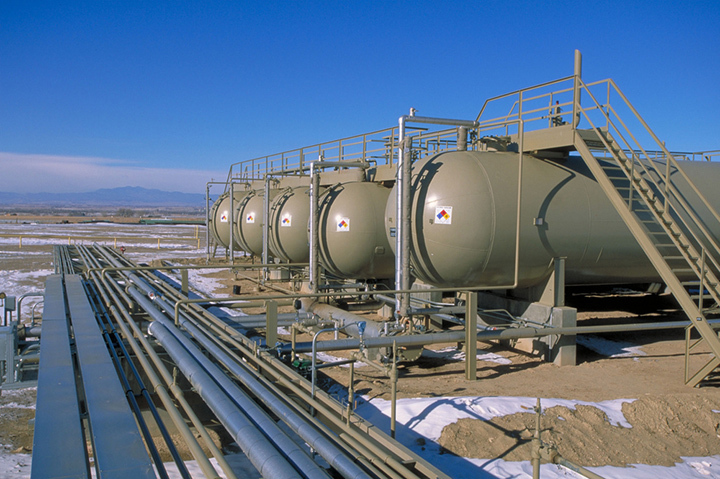 The oil would come from the Bakken oil fields in western North Dakota. Iowa Citizens For Community Improvement and the Sierra Club Iowa Chapter have been most vocal about their opposition. They say the risk of a leak – no matter how small – is not worth the potential benefits, which they also say are negligible. ETP says that’s not true. Iowa will see $630 million in direct spending. Of that, there will be at least $50 million in sales and income taxes paid during construction, and another $189 million in estimated temporary and permanent right-of-way and easement compensation. During construction, which is expected to take about two years, there will be a need for about 4,000 construction and service jobs. That’s $390 million in salaries and $14.6 million in state individual income tax paid. 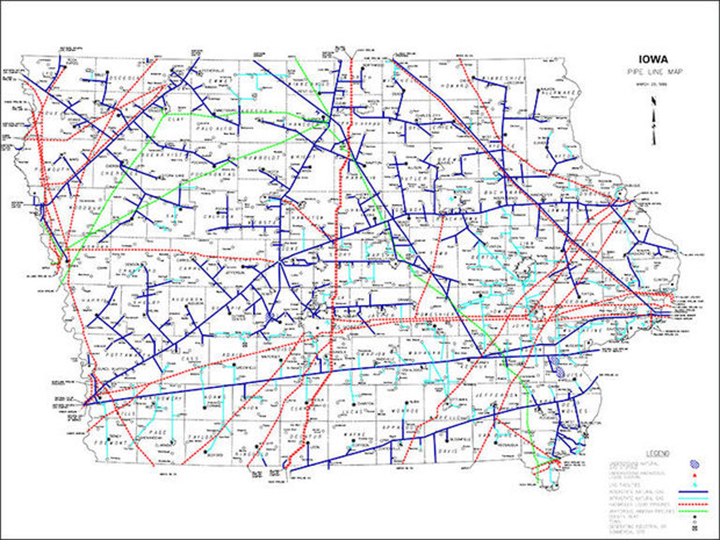 This map shows the locations of all the liquid and natural gas pipelines that crisscross Iowa. Click to see it in full size. Ongoing, the 17 counties and school districts will receive approximately $27.4 million in property taxes – at current rates – each year. There will be 15 permanent jobs with a payroll of approximately $1.7 million per year. The project would add approximately $1 billion to the U.S. economy. All mainline pumps will be assembled and packaged in the United States, 57 percent of the pipe itself will be manufactured in the U.S. and the majority of the remaining major materials will be purchased, manufactured or assembled in the U.S. The safety record of Iowa’s pipelines have been called “spotty” by some media outlets, but you can see for yourself by clicking here to see an interactive map of all the “significant incidents” in Iowa since 1986. A “significant incident” is one in which $50,000 in damage is caused, or at least one serious injury/fatality, or at least 2,100 gallons were released. Although there has been 133 “significant incidents” in the past 30 years, the facts are clear: there has never been a catastrophic incident involving any of the more than 51 pipeline operators in the state. 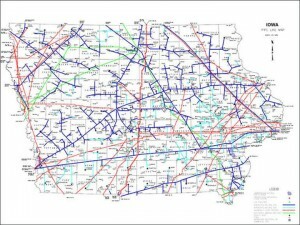 There are already 41,410 miles of hazardous liquid and natural gas pipeline in the ground in Iowa.